Is a Double Opt-in Email List Better than Single Opt-in? We live in the greatest country on earth. For over half a century the US has been both the catalyst of democracy and beacon of capitalism. We’ve achieved such heights because of our tenacity as a nation, and our resolve as individuals. Our efficiency at governing and capitalism have been close to ideal. And there is a new opportunity for our nation to improve our leadership role even further. We now stand at the junction of a groundbreaking innovation that will revolutionize all of finance and economics as we know it. And in the process, catapult the United States even further than what the Dollar did as the world’s reserve currency. We can capitalize on this revolution only if we play our cards right. I am talking about crypto currencies – the stateless currency that is based on an algorithm and a meticulous record of ownership. In the last few years, the likes of Bitcoin, Litecoin, and more recently, Mastercoin, (there are more than 50 other cryptos) have hit the wires with one version or another of a value storage system – a currency of sorts, to facilitate commerce across an ever increasing online world. The story of Bitcoin is an interesting one, but there is something more valuable to it than simply its ability to allow individuals to transact online anonymously. That feature just scratches the surface of its potential. Bitcoin would be nothing if it didn’t have the ability to keep an autonomously verifiable chain of custody, and log of events that are timestamped and stored across an innumerable number of user nodes for safe and accurate record keeping. The Blockchain, as it’s called, is the core technology. It is what makes Bitcoin possible and does away with any central body required to keep track of ownership. That is the jewel in the crown. What I like about the blockchain is that it assumes the responsibility of keeping track of ownership. But the problem with Bitcoin’s blockchain, is that it only supports a Bitcoin transaction. In light of that issue, there is a new cryptocurrency player in town – one which raised $5 million in a crowd funding exercise just two months ago. They call their version, Mastercoin. And what they promise, which remains to be seen if it will come to fruition, is that they will open up the blockchain to allow almost any other kind of transaction/cryptocurrency. Part of Mastercoin’s crowd funding came from some noteworthy angel investors, like Bit Angels. 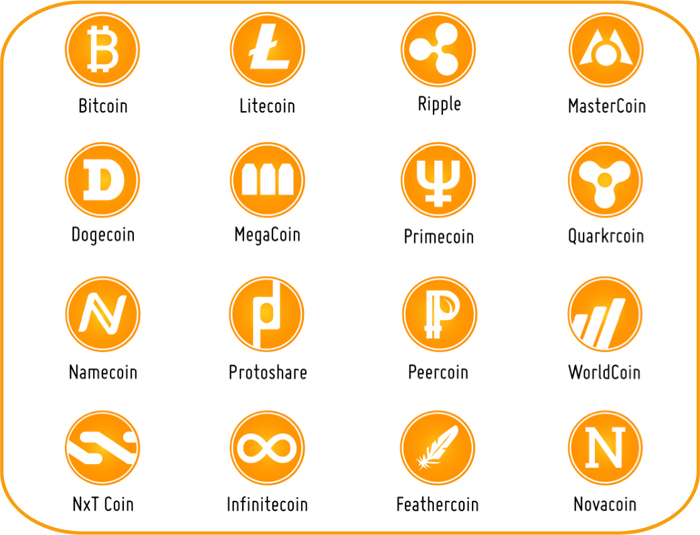 Mastercoin is basically touting the ability for anyone to create their own currency. If you think about currency as a dollar note or a quarter, or even one bitcoin, then it will seem unworthy. But, look at it a little differently, and you will see the other benefits of putting an additional layer on the blockchain. To get your mind thinking in the right direction, think of it as an open source option for communities to create currencies, and have a platform to transact. Before Mastercoin, Bitcoin was just a way to buy and sell something anonymously. It has proven that it can do that very well. Bitcoin’s acceptance is at an all time high, and growing. The number of nodes are steadily increasing, not to mention the USD value for each Bitcoin, once peaking at over $1000. With the emergence of Mastercoin, it is possible to use the established Bitcoin blockchain. The benefits of using an already existing blockchain is incalculable. Rather than building a new cryptocurrency, and building a number of nodes each and every time, riding on top of one that has a robust blockchain is the better solution. Mastercoin developers should be commended on seeing the virtue and value of that. The fact that Bitcoin didn’t see an opportunity in this, is an even better stroke of luck, because I see a merger in the future, on the proviso that Mastercoin pulls off what they say they can. The real benefit here is that this technology revolutionizes just about everything we are accustom to in the financial and economic markets. The real value, as I say, the gem, of Bitcoin is not the coin itself, but the algorithm and the blockchain. That becomes the trunk on which anything can be built – and with the Mastercoin layer, now it seems anything will be. When Bitcoin first launched, they focused on an electronic payment system and the Blockchain was merely the tool that offered cryptographic proof. Now the focus is on the cryptographic proof. Without getting too much into the technicality of the structure (I hope you have stayed with me thus far), we just need to understand that Mastercoin opens up the Bitcoin blockchain – that cryptographic infrastructure, and uses it for more than just keeping records of Bitcoin transactions. By placing a protocol layer (think of it as a translator) between a user and the Bitcoin layer, they allow users to ride along and convert anything to a tradable commodity – anything from your bike to your kitchen sink and even your car. Imagine that for a minute; everything that is owned can be owned online with an almost unhackable, indestructible record of evidence. Why is it indestructible? Because the blockchain is replicated across all the nodes around the world. Thanks to these nodes, there are numerous sets of records for one transaction (consider them backup files). Mastercoin, while basically touting the ability for anyone to create their own currency, is actually doing a lot more than that. They are facilitating the conversion of assets into smart property. Sound chaotic? Perhaps, but don’t discount it just yet. Smart assets mean that ownership of an asset can be confirmed online, with the use of the blockchain, and it can remain anonymous as well. The process of converting an item into the blockchain is what I like to call the ‘coinization’ of the item. Imagine the effect of a full fledged Internet of Everything, combined with the ‘coinization’ of everything. What you would see is perfect commerce. It would be an economist’s ideal situation. Can this be used for illegal acts? Well, sure. So can a gun, but it depends on the person using it. We could outlaw the tool just because some people may use it for something we are not comfortable with. That would be foolish. Imagine stopping the revolution in economics that would benefit the masses, because a few people will use it to score contraband. Let’s get real. What would be the real reason there would be an interest to derail or stop Mastercoin? Well for one, it could turn the banking system on its head. It will take the middleman out of the equation and place a greater purchasing power in the hands of the people. It would improve capitalism. But that scares some people because an efficient system takes away the profit potential for them (crony capitalists). With the use of Mastercoin, the ability to decentralize the entire financial infrastructure of civilization exists in the immediate present. It takes the world out of the hands of intermediaries and returns it to the hands of stakeholders. It could reduce the size of government, it makes old forms of government irrelevant and it creates a new democracy. Unfortunately, a number of people have touted only one aspect of Mastercoin: its ability for anyone to create their own currency. While that is true, it’s not just about that. At its core, Mastercoin democratizes the exchange system by keeping it out of the hands of a select few. A medium of exchange, a store of value or a new currency is a sensitive issue for many who are involved in the business of governing. Why? Because currency is one of the strangleholds that government tugs on when they need to make things go their way. Crypto currencies and Mastercoin end the possibility of that. Mastercoin has taken Bitcoin one step further, in the right direction. They’ve democratized the economics of resources and the transfer of ownership. By doing so, they’ve made capitalism more effective. By putting it in the hands of the people, they’ve reaffirmed that being American means having faith in the people. I am tired of not moving forward because of a potential threat to the norm. The excuse is getting tiring. I want to see the likes of Bitcoin and Mastercoin move forward because it is the only way forward. The likes of Bitcoin and Mastercoin will do for this country what making the Dollar the world’s reserve currency did for the US in the last half century. It will make us relevant 50 years from now. While the rest of the world’s despots and leaders with muted vision go around trying to curtail the Internet and reduce freedom and limit Bitcoin, we should lead and propel the future of economics by advancing crypto currencies and smart property.